Feeling Nostalgic? 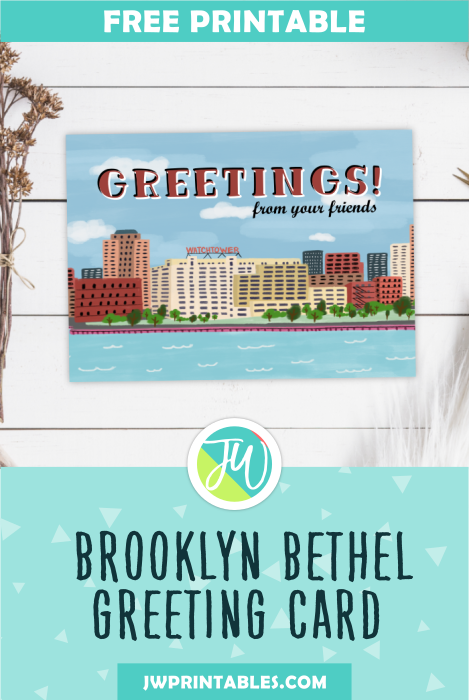 This is the perfect card for you! Though we’ve moved our world headquarters out of Brooklyn and into Warwick, this will always be a part of our Theocratic history. Now there’s a card you can use for any purpose that marks our progress as an organization! Yay! 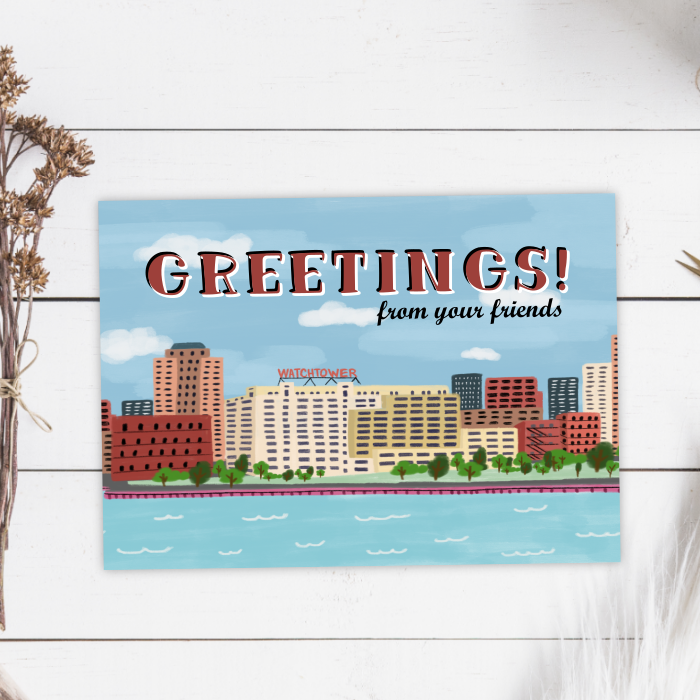 Inspired by old postcards, it’s a fun way to say hello or goodbye to a brother or sister or even to send hello greetings to far away relatives! 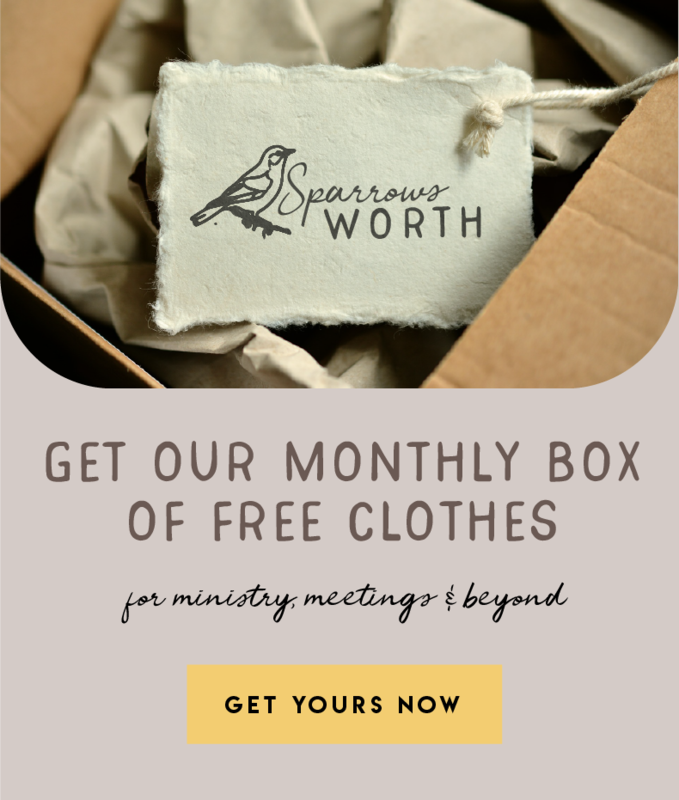 May be a great a gift idea for meeting brothers and sisters at special conventions or as a thank you when leaving seldom worked/unassigned territory. Whatever you use it for, may it spread happiness to both you and those who receive it!